Hello! 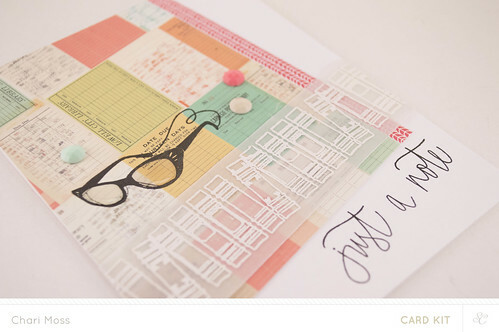 So what do you think of the new Studio Calico card kits? I know I have certainly had fun playing with them. Today I have two cards I made using only the Spaulding Bowl add-on kit. I finally gave the paper on a angle technique a try on this card. I really didn't want to add too much on top of the library card paper since it has so much going on. I white embossed the books on vellum for a more subtle effect overlaying the pattern paper. 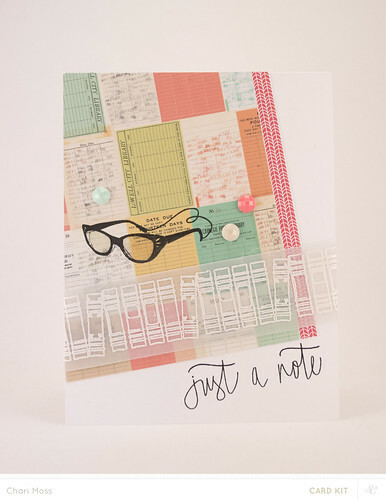 I added some glossy accents to the lenses of the glasses and sprinkled around a few of the embellishments that matched the colors in the paper. 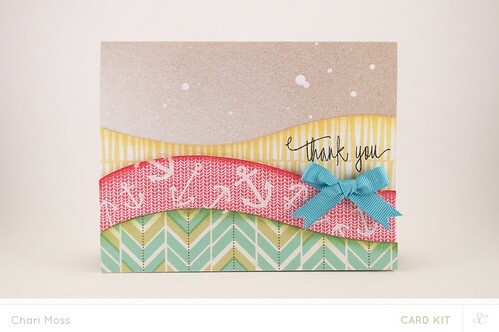 For my second card I wanted to use the anchor rub ons so keeping with the nautical theme I cut my paper like waves. I did sketch them out first to be sure that I had adequate room for my sentiment. I also inked the edges of each layer with coordinating distress ink colors to make the edges more defined. I sprayed the kraft card base with white Mister Huey's mist on one side and added some drops of white as well. 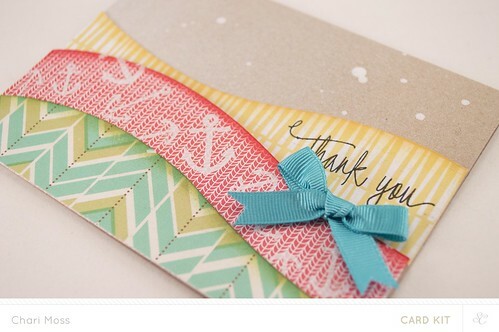 I liked the way this softened up the kraft and tied it in with the white of the anchors. Such a great kit add-on. But looking at what you've done with it is amazing. I wish it were still in stock, darn it! The wave cut on the second card is kind of a stroke of genius...and the vellum embossed books is a perfect addition to that awesome 1st card. Chari, these are both AWESOME!!! You have such an eye for details, girl!!! Love the angled layout and embossed strip of books on the first one and the way you cut the paper into waves on the second one!!! FABULOUS!